My top 3 Kurt Geiger Picks from Winter 2010, these beauty's are fit to carry you through to Spring/Summer 2011! 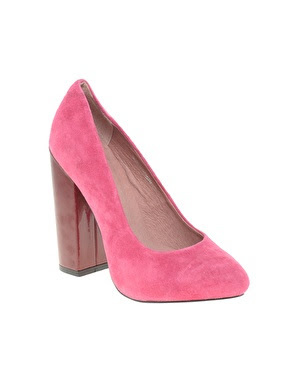 These gorgeous KG Claranita Block Heel Court Shoes are a closet keep wear now, and wear Spring/Summer, Block heels are going nowhere, and its all about Bright colours for next seasons trend! Now reduced to £84. Again and my ultimate favourite are these Hawley Lace Up Suede Heeled Ankle Boots Reduced to £84, Tan is going to be back next spring, so these gorgeous boots are a must buy now to be top of the style polls. These gorgeous Imogene Triple Bow Jewelled Heeled Sandals are reduced to £110, can be worn with opaque tights now, and will without a doubt hold their place in the style stakes through Spring/Summer 2011.